Discover How msgManager can help you. msgManager was used as the email register for the New Tyne Tunnel Crossing SCADA system project and registered over 4,500 emails. 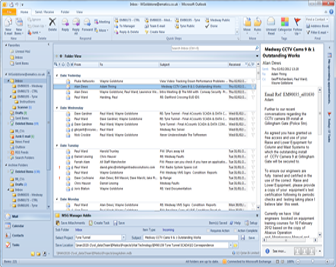 msgManager, is an add-in for Microsoft Outlook 2007 / 2010 that allows you to create external email registers on a project by project basis and then from within outlook enables you to assign incoming or outgoing emails to that project. 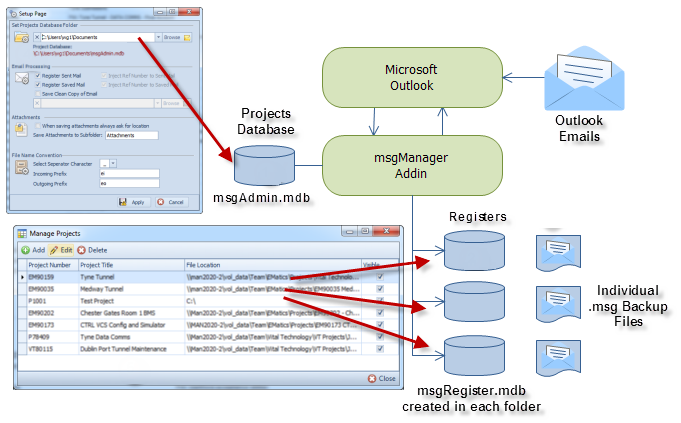 msgManager will then register the email to that project, assign a unique reference number and then inject this reference number in to the email before saving as a .msg file on your server or hard drive. 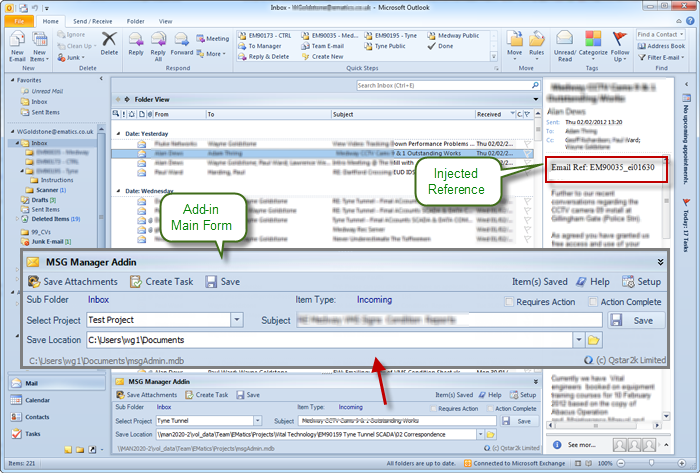 Packed with many time saving features, msgManager improves your productivity by extending the functionality of MS outlook and provides better traceability for your project email. 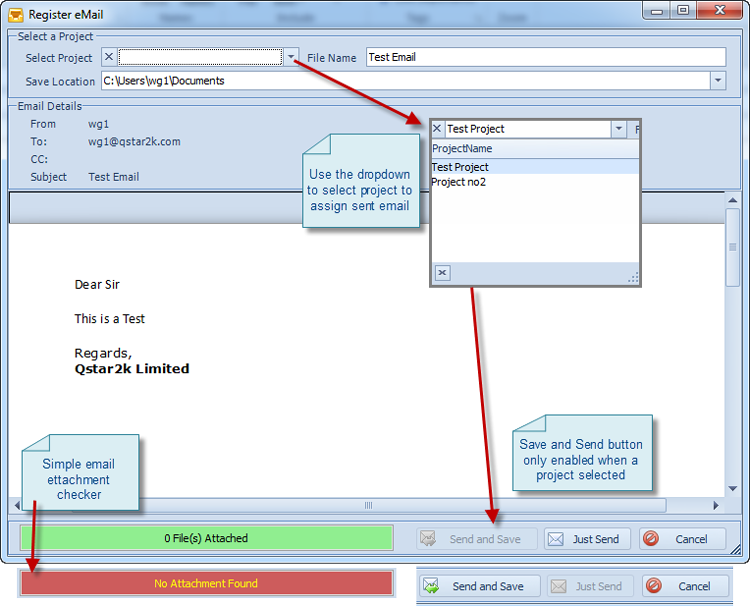 Inject a project reference in to your emails. Emails automatically added to project register. Sent emails are intercepted and assigned to a project. 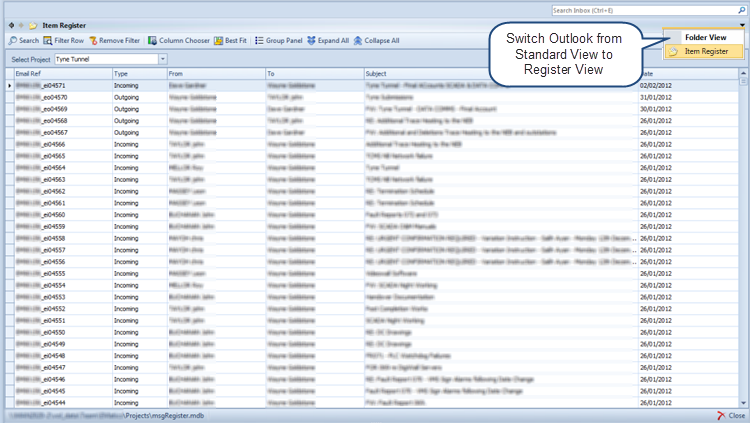 View project Register within Outlook. 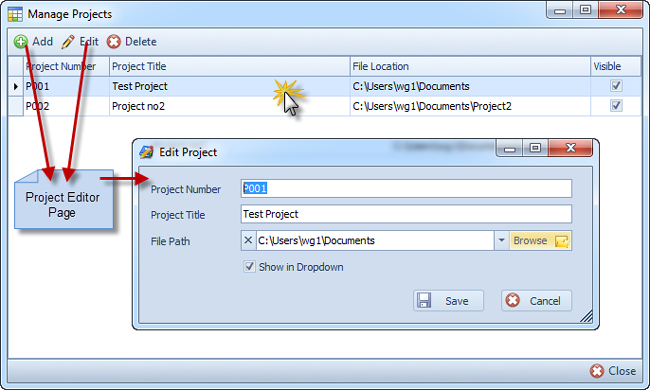 Integrates with project Assistant 5. Save Attachments with single mouse click. 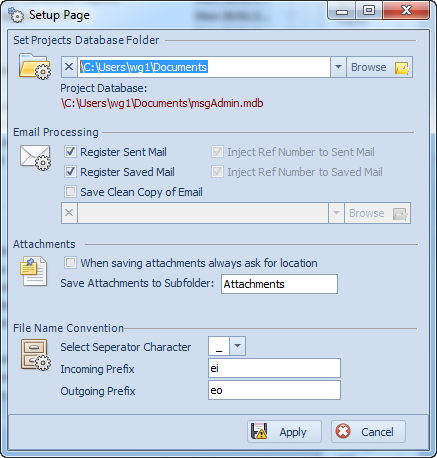 Save emails in .msg format. 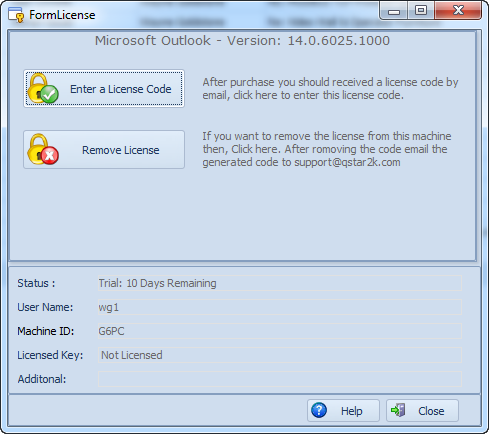 Requires: Microsoft Outlook 2007 or 2010 which must be purchased separately from Microsoft. Download your 30-day Trial Today. Copyright © 2006-2013 Qstar2k Limited - All rights reserved.